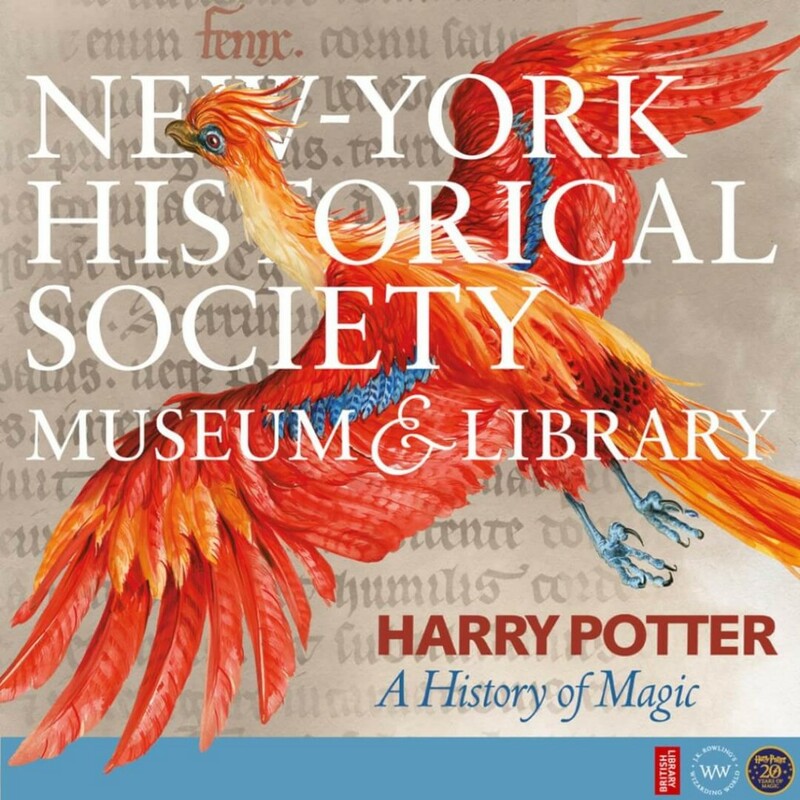 Harry Potter: A History of Magic opens at the New York Historical Society tomorrow, with a guide narrated by Natalie Dormer, and will bring together all audiobook readers for the first time ever. 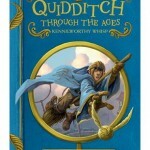 Though the New York City exhibition will contain different elements (Brian Selznick’s 20th anniversary illustrations for Scholastic, for example), it’s sure to give the same profound revelations of the mythology, lore and history which inspired J.K. Rowling when writing Harry Potter, and ways in which we can see magic throughout Muggle history. 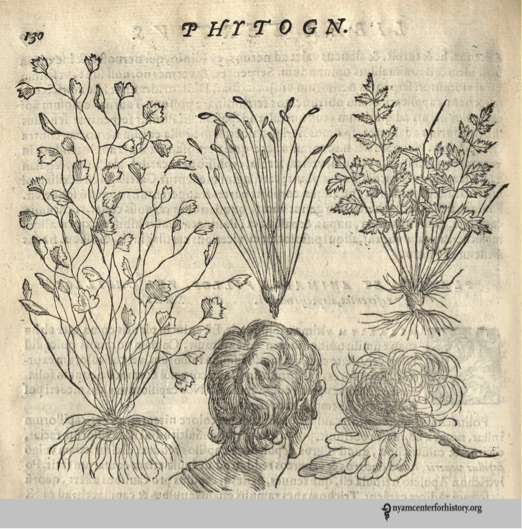 The exhibition Harry Potter: A History of Magic showcases many beautiful medieval and early modern herbal texts in its Herbology section. 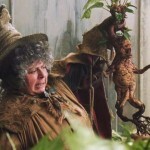 The importance of traditional plant lore in Harry Potter, however, extends far beyond Professor Sprout’s greenhouses. 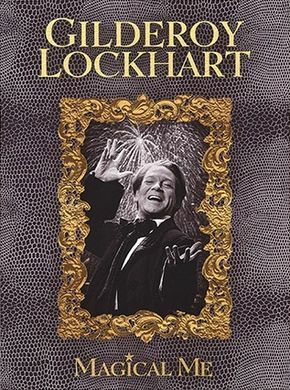 Rowling notes in the documentary accompanying this exhibition how she loves to use ‘pre-existing myths, or ideas of fantastic creatures and so on was a way of giving texture to the [Wizarding] world.’ Plant lore – from the doctrine of signatures to the language of flowers – is a rich source for the historical ‘texture’ which gives such depth to Rowling’s imagined world. My first post about the History of Magic Exhibition mentioned the way in which Rowling uses the language of flowers to plant clues in her names (something I’ll explore in more depth later in this blog-series). The evocatively named sisters Lily and Petunia, for example, play on the lily as a symbol of purity and petunias as associated with resentment; while there is a well-known and persuasive fan theory that Snape’s first words to Harry about the Potions ingredients asphodel and bitterest wormwood express his regret for Lily’s death. 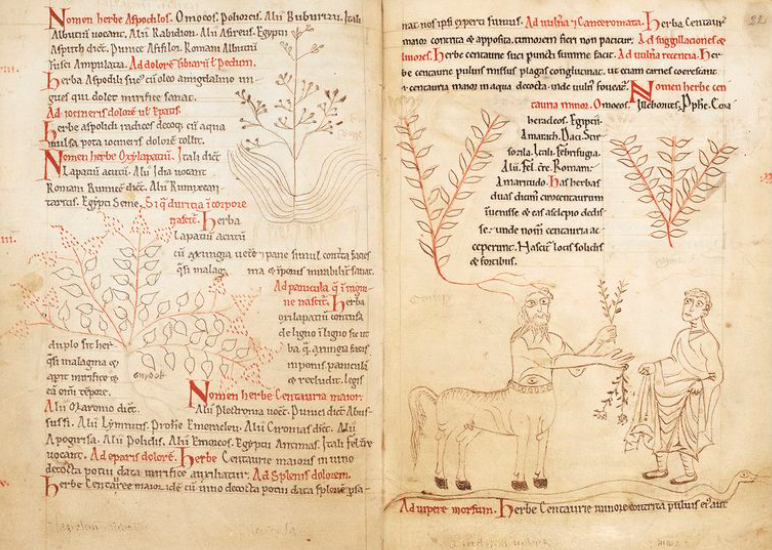 Centaury was named after the centaur Chiron who (according to Homer) passed on the knowledge of healing herbs to mankind (Iliad, Book 11.804-848). While other classical centaurs (like the centaurs of the Forbidden Forest) are generally antagonist to mankind, the generous and gifted Chiron became a tutor to heroes such as Achilles. Chiron, therefore, is the clear model for Firenze: the only Hogwarts centaur that thinks it worthwhile to tutor the hero. And the fact that the snake-bite curing centaury is named after Chiron gives this link a further, satisfying, twist. For just as Chiron is the centaur who protects humans from snakebite, so Firenze is the centaur who saves Harry from the snakey nightmare he meets him in the Forbidden Forest. 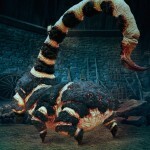 (A creature that makes ‘a slithering sound’ (Philosopher’s Stone, Chap 15) – a clue to his snakey, Slytherin nature). This blog series concentrates on the most important source for Rowling’s plant knowledge: Culpeper’s Complete Herbal (1652), a book prominently displayed in this exhibition. The exhibition catalogue notes both the extreme popularity of this work (it has been published in over one hundred editions, and was the first medical book to be published in North America) and also some tantalising details about its author: such as Culpeper’s trial, and acquittal, for practising witchcraft in 1642. 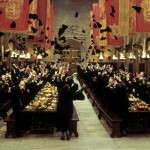 Culpepper leaves his fingerprints all over Hogwarts’s Potions classes but, as Rowling says, she often does not use him precisely, but creatively reworks his ideas. Take for example the way in which peppermint’s calming properties are kept but comically transformed. Culpepper notes that mint has a ‘binding, drying quality, and therefore… stays the hiccough, vomiting, and allays the choler.’ Culpepper’s celebration of mint’s ability to calm the body is transformed into an ability to mentally calm when it is added to the Elixir to Induce Euphoria: ‘a sprig of peppermint… unorthodox, but what a stroke of inspiration, Harry. Of course, that would tend to counterbalance the occasional side-effects of excessive singing and nose-tweaking’ (Half-Blood Prince, Chap 22). Culpeper’s Complete Herbal (1652) sold like signed first editions of Magical Me when it came out, and it has (possibly uniquely for a non-religious work) remained in print ever since. One reason for this popularity was its cheapness. Rowling’s ‘cheap edition… bought second-hand’ is entirely in keeping with the affordability of the original book: roughly £1.30/ $1.70 in today’s money. In a highly unusual move Culpeper’s herbal advertised how cheap it was in its title: The English Physitian: or an Astrologo-Physical Discourse of the Vulgar Herbs of this Nation. Being a Compleat Method of Physick, whereby a man may preserve his Body in Health; or cure himself, being sick, for three pence charge, with such things only as grow in England, they being most fit for English Bodies. 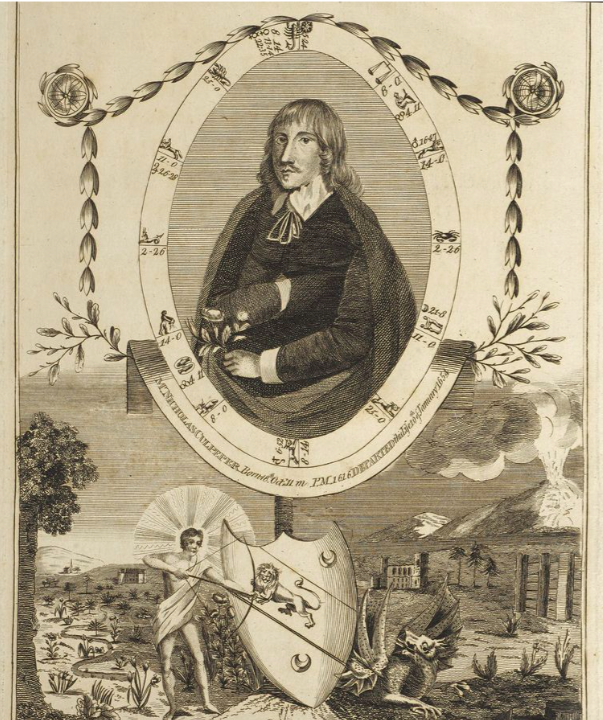 The main reason for Culpeper’s popularity was that his herbal was answering a real need for affordable healthcare at a time when few could afford doctors. His book cost only three pence and enabled the purchaser to make medicine from plants freely available in the hedgerows. There is also a certain nationalist pride in his advert of ‘Herbs of this Nation’ (or ‘local herbs for local people’) and his promise that, unlike other herbals stuffed with foreign plants, Culpeper’s herbal will detail only ‘such things only as grow in England, they being most fit for English Bodies.’ Harry Potter likewise takes place in an unapologetically British world (and, in an extension of this, Rowling famously insisted that the films must use only British actors). 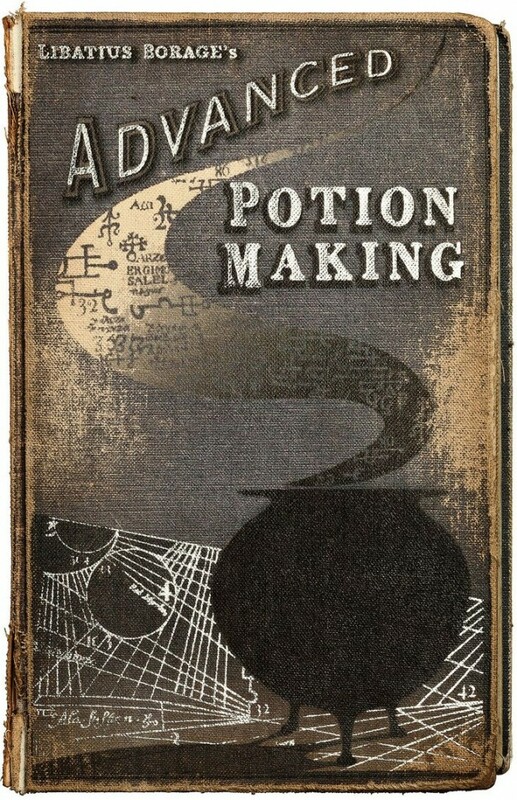 The author of Hogwarts’s Potion’s textbook Libatius Borage – the Wizarding version of Nicholas Culpeper – uses many native plants such as aconite, wormwood, knotgrass and wolfsbane and he himself is named after an old-fashioned British herb (its blue flowers, frozen in ice-cubes, perk up a pitcher of Pimm’s no end). This interconnected understanding of the natural world, held by many medieval herbalists and familiar in the present-day through Culpeper, lead to a belief in what is known as ‘the doctrine of signatures.’ This idea (which I will talk about further in my next blog) held that the shape of plants was part of the way in which God had ‘coded’ the natural world – from planetary motion to flower petals – with messages for mankind. According to the doctrine of signatures you can ‘read’ the medicinal value of a plant from its outward form: plants resemble the part of the body which they will cure. 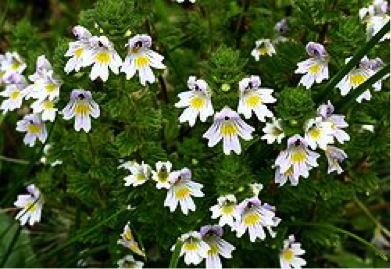 ‘Euphrasy’ is the botanical name for eyebright, the flowers of which were said to resemble eyes, and to cure their ailments too. Milton is, therefore, using a herb well-known from the doctrine of signatures to cure the eyes. (Poet-like, he is also punning: ‘euphrasy’ derives from the Greek for ‘cheerfulness,’ while the herb rue, of course, more familiarly means ‘sorrow, pity, repentance’ (see more on the symbolism of rue here). Milton’s herbs carry the deeper meaning that a tempering of sorrow and joy will put Adam in the right spiritual state to understand the angelic vision before him. Mandrake or Mandragora: An unrecognised source for the Hand of Glory? The synopsis of Philosopher’s Stone which Rowling submitted to prospective publishers (on display in the History of Magic exhibition) notes that Herbology was studied ‘out in the greenhouses where the mandrakes and wolfsbane are kept.’ Rowling has chosen two plants which will resonate within the series and they are plants that – like almost all the important plants in Harry Potter – fulfil the doctrine of signatures. 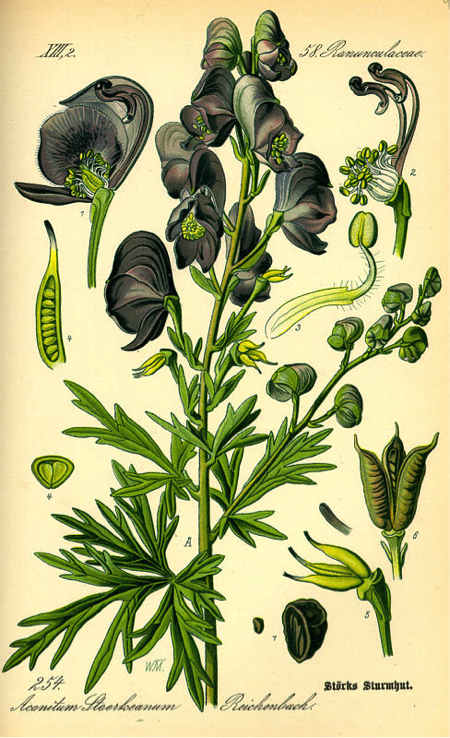 In the Muggle world the wolfish looking wolfsbane was used to heal wolf bites (and, in Rowling’s magical world, the werewolf symptoms that might result). 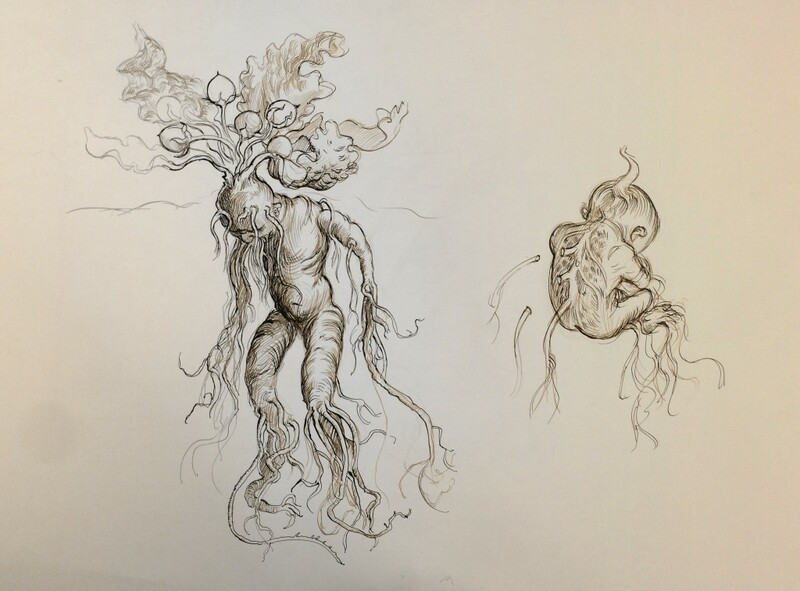 The belief that the mandrake root looked like the whole body meant that – according to the doctrine of signatures – it could cure any part of the body (a ‘panacea’). This belief maps neatly onto the magical use of mandrakes in Chamber of Secrets for the Mandrake Restorative Draught, as it overturns Petrification, is indeed a panacea for the whole body. In the History of Magic documentary, Rowling looks at some early modern illustrations of mandrakes and relishes the botanical name ‘mandragora’ as she reads it. In emphasising this word, Rowling reminds the viewer of Hermione’s description of it: ‘Mandrake, or Mandragora, is a powerful restorative… it is used to return people who have been transfigured or cursed, to their original state’ (Chamber, Chap 6). It is very unusual for botanical names to appear in Harry Potter – Rowling tends to me more taken with more memorable, traditional English names ‘Flaxweed, Toadflax, Fleawort, Goutwort, Gromel, knot-grass, Mugwort’ – and I think the name Mandragora might appear because it is a clue that points towards something else. For Mandragora is in fact the source for another object that turns up in Chamber: the Hand of Glory. 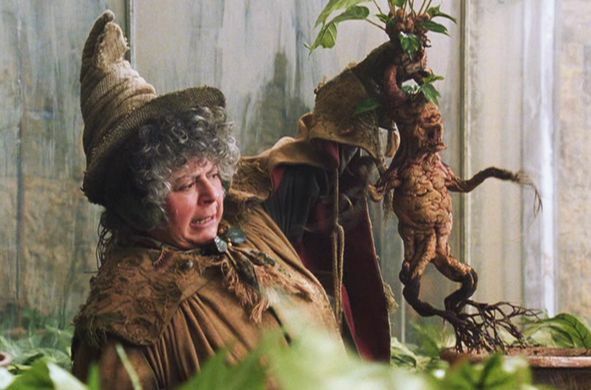 I love the ‘humanising’ mandrake jokes in Chamber: Professor Sprout fussing over getting them into woolly socks and scarves when it snows and her observation that they be mature when they make a move on each other’s pots (a joke that draws on Rowling’s knowledge of plant lore: mandrakes were indeed believed to come in male and female forms). Sprout’s enthusiasm is heart-warming and unlike many Muggle parents she even relishes the onset of puberty: she is pleased when the mandrakes become moody and secretive and delighted when they throw a raucous party. But there is a macabre frisson underlying Professor Sprout’s maternal satisfaction in the flourishing of her mandrakes; a unsettling continuity with those evil fairy tale witches who fatten up children on gingerbread. For Sprout is nurturing her mandrakes to maturity only in order to cut them up and stew them in a potion. However, according to some medieval plant lore the mandrake, too, could ‘shine at night, like a lamp’ (from Dendle’s Plants in the Early Medieval Cosmos: Herbs, Divine Potency, and the ‘Scala natura’) and it is the ultimate source of the idea of the Hand of Glory. The English name (as Rowling, with her excellent French, no doubt knows) is a translation of ‘main de gloire’ – a corruption of the medieval Latin ‘Mandrogora.’ Originally the Hand of Glory was not a real hand at all, but a ‘a mandrake root shaped like a hand. The term is a translation of French main de gloire, which is a popular corruption of mandegore, mandragora, mandrake. That’s the end of the first of FIVE parts to this in-depth analysis of plant lore in Harry Potter, in celebration of the New York opening of Harry Potter: A History of Magic! Book your tickets to the exhibition at the New York Historical Society website, read more about the documentary (which is now available on DVD), the official book of the exhibition, and Dr Groves’ previous analysis of the exhibition in London for more exciting insights. Also be sure to check out Dr Groves’ book, Literary Allusion In Harry Potter, and follow her on Twitter! Let us know your thoughts – have you been to the exhibition? Were you surprised by the connections between Mandrakes and the Hand of Glory? 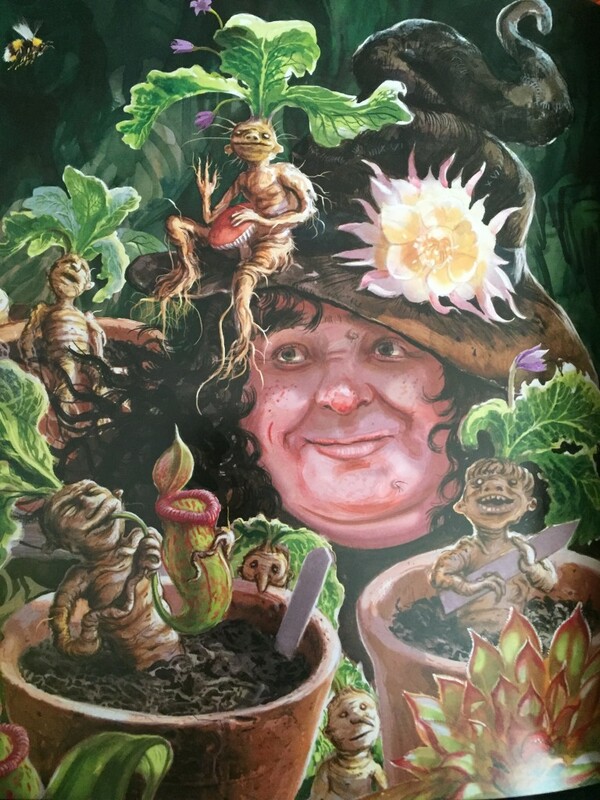 Were any Hufflepuffs out there a little creeped out by their Head of House when discussing Professor Sprout raising the mandrakes to stew? Comment below, or discuss with us via Twitter, Facebook or Instagram!